Hurry because LIMITED SUPPLIES ONLY!!! Now you can become a member of the Spartan army with this exact replica sword. 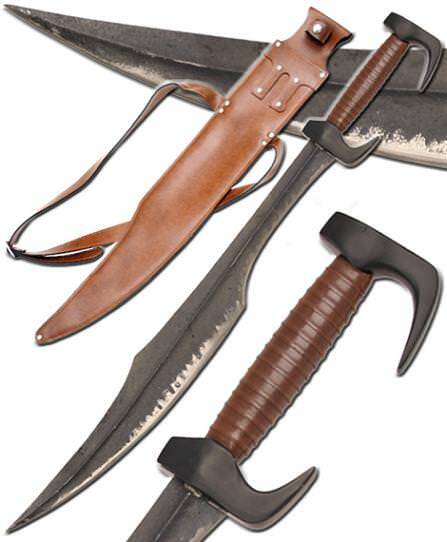 Hand forged using carbon steel for the blade and a solid iron hilt, this is an exact movie replica sword from the film. This sword is carried by King Leonidas and his wife. This Spartan sword is even antiqued to give it that battle-worn look. So now you can proudly display this King Leonidas sword in your home or anywhere with its free leather sheath and instantly be apart of history as you battle for supremacy in the infamous Spartan War. Handle Material: Metal with Brown Leather wrap. 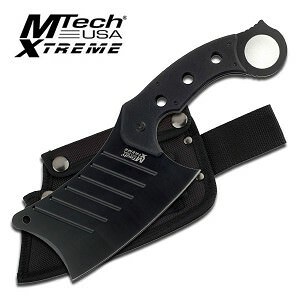 Item Include: Free leather sheath which goes around your waist. In 480 BC the Persian Empire was poised to conquer all of Greece . While their countrymen turned and fled from their invaders, a band of three hundred Spartan warriors faced off against the largest army the world had ever seen. Led by King Leonidas, the Spartans would show an empire what it meant to be truly heroic. Now you can join King Leonidas and his army to defend against the evil king and restore peace.